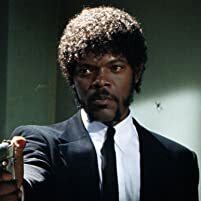 Mathias Targo: I told you not to toy with him! Simon: Thank you, that's very helpful. Q: How did John realize that the guys in the elevator were imposters? Q: How did the riddle go with the seven wives? This movie gets right to the point and starts off with an explosion. I love that. 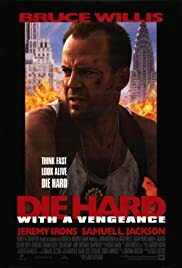 A crazy guy named Simon (played very well by Jeremy Irons) blows up a store, and asks to speak to John McClane, who is on suspension. 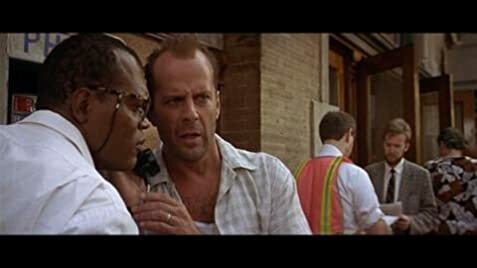 The cops grab McClane, who is by now a heavy drinker, and put him on the phone with Simon. Simon makes him walk through Harlem with a very offensive sign. 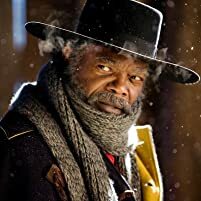 Just when he is about to get beat down, he is rescued by the racist Samuel L. Jackson, who plays Zeus. It seems as though Simon wants revenge on McClane for something, but nobody knows why. Now, Zeus and McClane are at the mercy of Simon, who meanwhile is committing a massive robbery. This movie is considerably different from the other two, which is probably a good thing. Who wants the same thing three times in a row? The plot has as many twists and turns as a snake, and the movie keeps the viewer involved. Watching Zeus and McClane bicker is amusing as well. 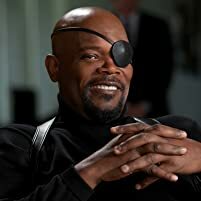 Samuel L. Jackson pulls off the role of the "racist black man" very well. I would highly recommend this movie.